The BoBunny Blog: NEW! Firecracker Wooden Star Trio Kit! NEW! 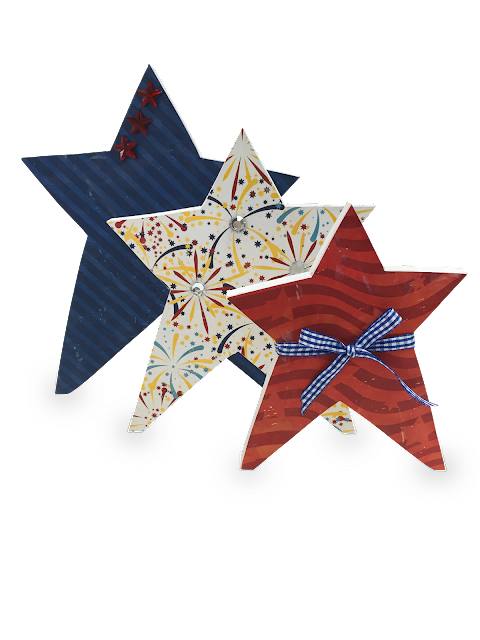 Firecracker Wooden Star Trio Kit! The previews continue with a look at this fabulous Firecracker kit! Included in this kit is everything you need to make this fun & festive home decor piece! How fun is this!? More previews to come!